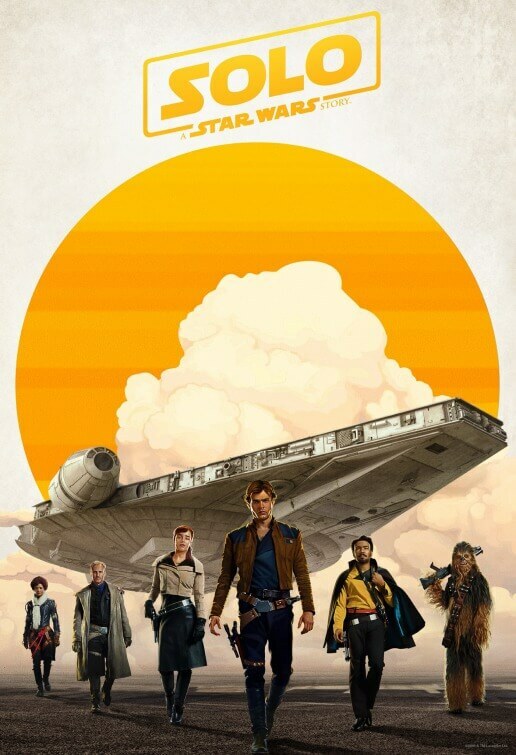 This past weekend saw Solo: A Star Wars Story maintain its top spot at the box office while newcomer, drama-action flick Adrift, floated into the third spot in its opening weekend. For its second weekend in theaters, Solo: A Star Wars Story stayed steady in first place despite dropping precipitously from its debut, taking in an additional $29.3 million for a gross domestic total of $148.9 million. Our users gave it a rating of 4.2 out of 5 stars. Deadpool 2 starring Ryan Reynolds also remained comfortable in its place at number two. The action-comedy film earned an extra $23.3 million in its third week in theaters to bring its domestic total to $254.7 million. Our users rated it 3.1 stars. Shailene Woodley and Sam Claflin play two lovers shipwrecked in the middle of the Pacific Ocean following a devastating hurricane in the disaster drama Adrift. The film did well in its opening weekend, earning $11.5 million at the box office. Our users gave it a rating of 4 stars. Dropping one spot to fourth place was Avengers: Infinity War in its sixth week in theaters. The film took in an additional $10.4 million for a domestic total of $642.9 million. Our users gave the superhero-action flick a rating of 4 stars. New on DVD – A Wrinkle in Time, Death Wish and more!